Meet the F1 "GP Red Rocket". 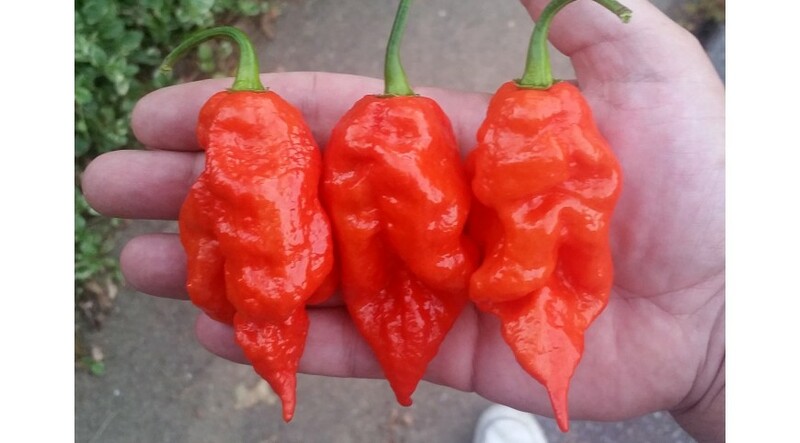 A Bhut Jolokia crossed with an unknown parent suspected to be either Reaper or Brazilian Ghost. This surprize beauty appeared in our 2017 grow. I love these giant pods with flame-like tails shooting from bottom. Looking forward to seeing what the F2 pods looks like in 2018.